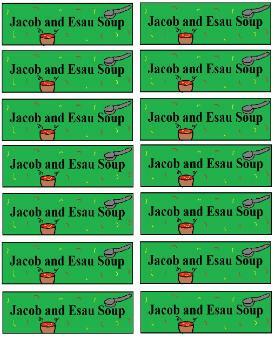 Just print the Jacob and Esau Soup Template and cut it out. Tape to Styrofoam cups. Cook the chicken noodle soup and when finished pour into a crockpot so you can transfer it to church for the kids. Then when you get to church pour the soup into the cups for the kids. Teach them about Esau swapping the birthright out for a bowl of tasty soup. 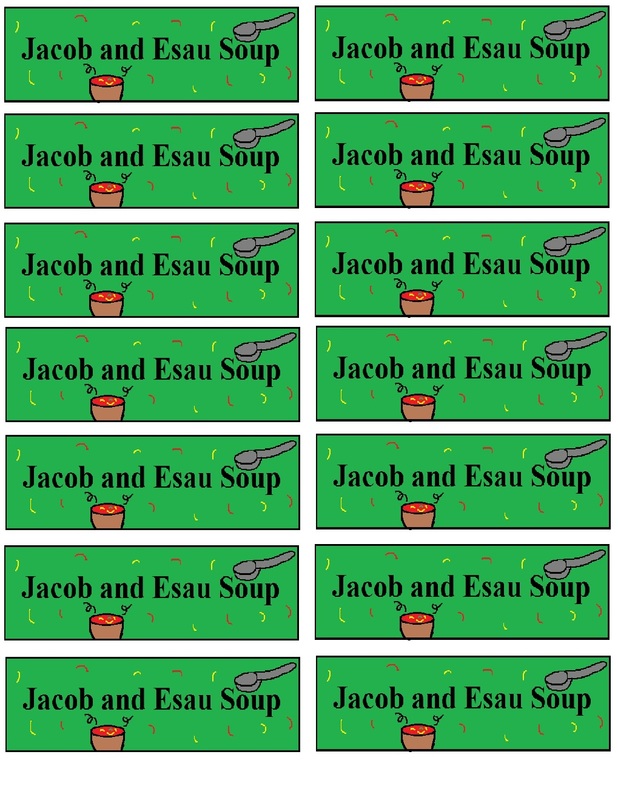 f you DO NOT want to print the template out then you can write,"Jacob And Esau Soup" on the cups. If your wondering why the template is blue on the cup and not green, it's because I ran out of green ink on printer when I printed it out. Opps...Time for more ink again!